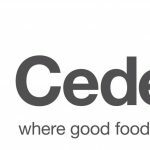 Cedenco Foods New Zealand Limited is a progressive NZ food processing company with modern processing facilities in Gisborne. Cedenco Foods have seasonal roles available within the company starting January 2019. We’re looking for workers who will actively contribute to the business and become part of the Cedenco Team. You must be able to prove eligibility to work in New Zealand (birth certificate or passport) and complete a Pre-Employment Drug Test, Medical and Police Check.